Some twenty years ago, “sophisticated dining” in Naples, Florida meant a “jacket and tie” dinner at The Ritz Carlton Dining Room or Andre’s Steak House. And, ethnic cuisine was limited to red-sauce Italian storefronts or good but rather standard Chinese fare at spots like Charlie Chang’s. Finding a sensibly-priced, expansive wine list that offered bottles that mated well with the fare served was wishful thinking. In fact, the situation was so woeful that dining excursions to Miami (two hours away) were not that uncommon. However, owing to an increasingly cosmopolitan population – especially in the winter months, when well-heeled “in-the-know” Americans, Canadians and Europeans flock to the city – the dining scene in Naples has slowly enjoyed a 180 degree turnaround. Now a wide range of restaurants offer excellent American fare featuring local seafood, and ethnic cuisine ranges from Persian to Peruvian. And at last, more than a few eateries offer extensive, well-priced wine lists matched to the fare offered. Here are the best restaurants in Naples, selected for their upscale ambience, consistently good food, attentive service and wine lists well chosen to marry with the fare served. 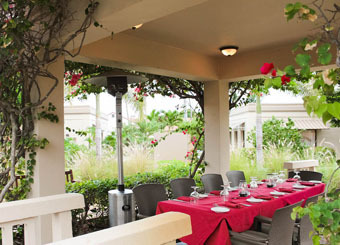 All in all, these establishments are your best bets for a memorable meal in this Southwest Florida American paradise. Celebrating 20 years in Naples, energetic chef-owner Alexander Bernard is now at the top of his game with contemporary takes on classic European cuisine. The main dining area is rather formal – reminiscent of a staid French drawing room. More appealing is the romantic patio garden with tables draped in magenta cloths and twinkling lights in the trees. While some might quibble that the fare served is “old hat,” a recent dinner there was exceptional, with carefully prepared food served in the romantic courtyard by professional, yet friendly servers. Recent appetizers include an Oriental stir-fry Thai Salad with a creamy peanut vinaigrette; sautéed wild-caught New England Calamari in a seductive broth of garlic, butter and herbs; and a flaky purse of Wild Mushrooms and Goat Cheese – all superb and certainly not culinary clichés. Nor were the artistically presented main courses of silky slices of pan-seared sesame-crusted line-caught fresh Tuna atop a spinach and seaweed salad doused with a miso demi-glace, a roasted Lamb Shank infused with rosemary essence, and perfectly seared Scallops on a bed of cauliflower purée accompanied by tempura asparagus. For dessert, try the classic Tiramisù, with a layer of rich mascarpone cheese between two coffee soaked crackers. Very reasonably priced wines are available from a list of bottles from consistently top-notch producers. Expect dinner for two to cost about $80 to $90, not including wine, tax or tip. Open for lunch Monday-Friday, for dinner Mon.-Sat. Owner Stephano Ljikovic previously worked at the very popular Italian eatery Quattro Gatti on the Upper East Side in Manhattan, so it’s no wonder that in décor and fare his Naples restaurant is reminiscent of the New York City dining spot. 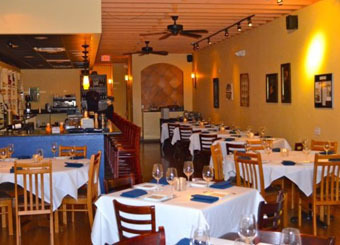 Housed in a small shopping center storefront, the walls of the large dining room area are covered with paintings of Italy’s countryside, and tables are set with white cloths, good china and silver, and pretty blue water glasses. 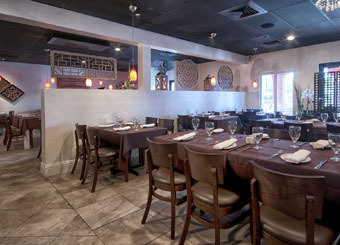 The fare is Mediterranean with a nod to Northern Italy. Among the many favorite dishes sampled at this spot over the past few years include appetizers of grilled Calamari accompanied by an addictive slightly sweet sauce of ripe tomato and Parmesan, and the Involtini di Melanzane (lightly grilled eggplant, stuffed with fresh mozzarella, chopped tomatoes, basil, anchovies, a touch of garlic and a sauce of lemon-olive oil sauce). For salad there's the Insalata di Pere (mixed baby greens, a dollop of goat cheese, walnuts and pear slices doused with a raspberry vinaigrette). Main course items of note are the Pollo alla Quattro Stelle (chicken breasts sautéed with artichokes, sun-dried tomatoes, wild mushrooms, white wine and a splash of sweet Marsala), the black truffle Risotto studded with porcini mushrooms, and the Fish of the Day preparations, especially the perfectly-cooked Dover sole for two (when available). For dessert, go with the homemade Tiramisu or Gelato. Service is prompt and professional, and the owner is almost always on premises to make special suggestions about wine or fare. A sensibly-priced wine list features numerous choices from top-flight Italian and California producers. Expect dinner for two to cost $90 - $100 excluding wine, tax and tip. The restaurant is open for dinner daily. 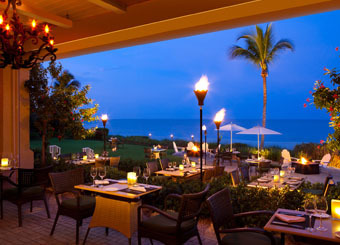 This epitome of elegant beachside dining overlooking the Gulf of Mexico should not be missed, even on a short stay in Naples. At dinnertime, the large elegant, dimly lit dining room provides comfortable seating at white-clothed tables well-spaced to allow for private conversation. Or reserve a table outdoors on the patio for a half hour before sunset. Order a bottle of wine from one of the best lists in the country, lean back and slowly survey the menu. Once the sun disappears beyond the horizon and the mesmerizing afterglow begins, order at will; everything we’ve tried over the past few years has been terrific. For starters there's the spicy Tuna Tartare with just the right amount of zesty chili sauce; Jumbo Lump Crab Cocktail served with grilled corn, sliced avocado and plantain chips; and the freshly tossed Caesar Salad. Main courses run the gamut from Lamb Osso Bucco accompanied by heady saffron cous cous and a pine nut gremolata, to a range of juicy sea fare like the generous portion of Black Grouper served with blue crab Risotto, and a thick fillet of Florida Keys Snapper accompanied by creamed boniato and roasted bok choy. All accompanied by a well-priced, award-winning wine list. For dessert, go with the zesty classic Lemon Tart or a Crème Brûlée (with a different flavor featured each day). Also, there’s a three-course prix fixe menu that changes weekly (a bargain at $39 a person). The “Bar Menu” offers an excellent choice of more casual fare, like a Lobster Salad BLT, crunchy Grouper Tacos and a world-class Shortrib Burger on a challah bun. Other than the prix fixe menu, expect dinner to cost about $60 a person, not including wine, tax and tip. Open daily for breakfast, lunch and dinner. 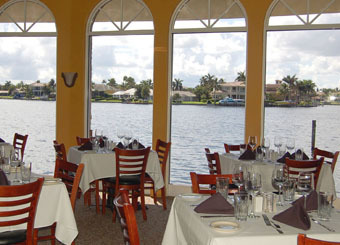 This restaurant enjoys an enviable waterside location, overlooking shimmering Venetian Bay at the rear of a shopping village noted for its unique, upscale shops. 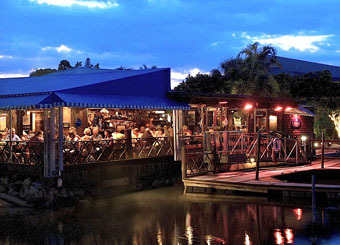 The fare and vibe here are quite sophisticated, whether dining inside at tables dressed with starched white cloths or on the outside deck with the glimmer of sunset or moonlight reflected off the buildings in the distance. Appetizers range from a wide assortment of pristinely fresh Sushi and Sashimi, Salads, Soups, toothsome charbroiled and Oyster Rockefeller preparations, and crisp-on-the-outside, dewy on-the-inside Grilled Octopus. I like the rich, butter-poached Black Grouper, and the firm, yet moist day-boat Scallops served over a flavorful mix of saffron rice, roasted cauliflower, hazelnuts, capers and lemon caramel. My favorite is the Branzino, whether the fillet grilled with capers, tomato and shallots or the whole fish simply grilled with lemon and extra virgin olive oil. The restaurant also offers a selection of decadent seafood pasta dishes like Lobster Ravioli, as well as grilled Beef and Lamb selections. And for dessert, try the sweet and tart Key Lime Pie that is surprisingly refreshing. The wine list here offers a range of choices a cut above the usual fish-house selections, with more than two dozen brands by the glass, such as the herbal King Estate Pinot Gris and the easy drinking Zenato Valpolicella, though the price hikes on the wines by the glass are a bit high. Expect dinner for two to cost $110-$120, not including wine, tax or tip. (And there’s a 3-course “first seating” dinner available 4-5:30 p.m. for $24). Open daily for lunch and dinner. What this year-old “roadside” storefront lacks in décor - a few small rooms each with tables dressed in brown linen cloths and walls sparsely covered with a variety of geometric shapes- it makes up in the quality of its fare. If this restaurant was located in New York City’s avant-garde culinary areas, reservations would be impossible to obtain. Appetizers range from chili-garlic Hog Wings with sesame and green onions bathed in a tamarind sauce, to Short Rib Sliders coated with Maytag bleu cheese and served on a brioche bun. A “deconstructed” grilled Caesar Salad features lightly grilled romaine hearts dressed with a thick, creamy homemade dressing and shavings of Pecorino Romana, and the Cuban Salad brings a refreshing mix of diced tomatoes, cucumber, red onion and avocado, fried capers dressed with an herbed lemon vinaigrette. A main course of pan-seared Cobia features two dewy filets of the local seasonal fish, coated with a sauce of caramelized mascarpone and wild huckleberry gastrique and accompanied by a sauté of wild mushrooms enlivened by a drizzle of truffle oil. A preparation of pan-seared Seasonal Fish (that changes daily) is served with a tasty smoked tomato citrus buerre blanc, blistered corn relish, haricort verte and black chili cous-cous. And there’s a choice of other flavor-packed items like a mushroom crusted Filet of Beef or a tart cherry-glazed Lamb Rack. For dessert try the Caribbean-inspired rich Guava Bread Pudding with a rum-butter glaze. Service is pleasantly professional and the wine list offers a number of excellent domestic bottles and reasonably-priced wines-by-the-glass such as the elegant Justin Cabernet Sauvignon. Expect dinner for two, excluding wine, tax and tip, to cost about $100. The restaurant is open for dinner only Tuesday-Friday. If this restaurant were in New York City or San Francisco, it would be a darling of the dining cognoscenti. Tucked away in a run-down strip mall storefront and well off the beaten path, it serves exemplary modern takes on classic Spanish cuisine at white-clothed tables in a spacious room with pale yellow walls displaying contemporary artwork. 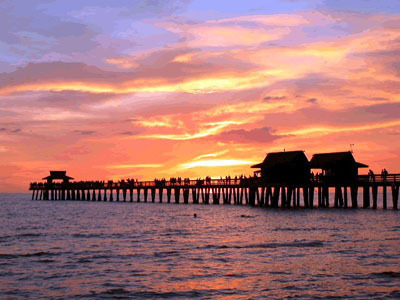 Most full and part-time Naples residents raise their eyebrows quizzically when asked about the seven-year-old establishment, since the location is not in one of the “spots to be seen,” and the fare served is certainly atypical for southwest Florida. On the other hand, those who’ve discovered the savory creations of I and M (Cuban-born Isabel Pozo Polo and her long-time friend Mary Shipman) keep returning for more of the two dozen hot and cold Tapas, such as Jamon Serrano cured for 18 months and bursting with the earthy flavor of the Spanish countryside; pristinely fresh Calamari flash fried after a dusting in a combination of flour and pimenton; classic Gambas (shrimp in garlic sauce) with just the right amount of seasoning, and for those willing to splurge, fresh Langostinos à la Plancha. In addition, there’s a plentiful portion of Paella, as well as a selection of four to five main courses, such as Lamb T-bones over a bed of heady romesco sauce,or the firm-fleshed whole deboned Mediterranean Sea Bass. To conclude the meal there’s a half-dozen dessert choices, including an authentic Spanish Coffee Flan. The service is professional, offering good explanations of the fare provided, and there’s a modest but well-conceived wine list featuring some of the best bottles available from Spain. Expect dinner for two (sharing 3 tapas and 2 main courses) to cost about $100 not including wine, tax and tip. Open for dinner Monday-Saturday. This six-year-old storefront dining spot featuring imaginative regional cuisine as interpreted by chef Keith Casey – he’s the “KC” – is now better than ever, with consistently superior food and service. 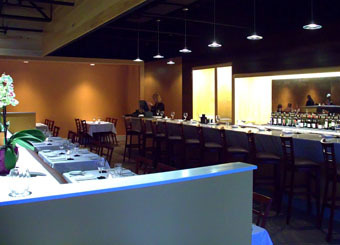 Seating at booths or well-spaced tables in a number of separate rooms usually allows for conversation at normal voice levels. From the dozen starters offered, I find the kale Caesar Salad with shaved manchego and pine nuts, and the Watermelon Salad with whipped goat’s cheese, micro sprouts and an orange and Meyer lemon dressing both cuts above similar dishes elsewhere. And for a rich treat, try the creamy almost sweet Maryland Blue Crab Soufflé. Some of my favorite entrées from a list of a dozen tempting choices include sautéed day boat Scallops accompanied by herbal scented braised spaghetti squash, cauliflower soufflé and grilled zucchini drizzled with a citrus beurre blanc; a crisp skinned, smoked pepper and molasses-glazed tender Duck Breast served with caramelized plantains and a refreshing jicama and orange salad; and a hearty zinfandel-braised Shortrib coated in a pungent wild mushroom and veal sauce. To end the meal, go with the orange-scented Crème Brûlée or the lavish Chocolate Ganache Torte atop crème anglaise and a wild berry coulis. The wine list includes numerous reds and whites – such as the fairly priced Paul Hobbs Chardonnay and the Alexander Valley Vineyards Cabernet Sauvignon – that mate perfectly with the fare. Expect dinner for two to cost a very reasonable $90-$100, excluding wine, tax and tip. Open Monday-Saturday for dinner only. After a decade and a half at the popular “place-to-be-seen” restaurant Campiello on 3rd Avenue, chef Vincenzo Betulia opened his own spot in downtown Naples. 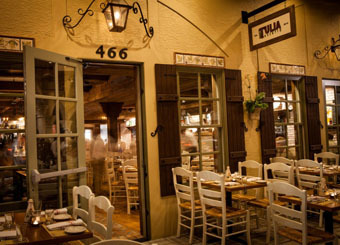 Barely two years old now, the restaurant is reminiscent of a Sicilian countryside eatery, with bare wooden tables set outside in front of the restaurant or indoors in a rectangular room featuring a long bar down one side and a brick wall on the other. Don’t expect red sauce here. 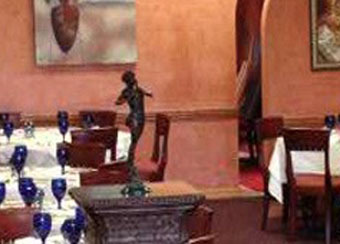 The brief menu features straightforward, extremely well prepared authentic Italian “cuisine modern” fare. And it’s served by an eager-to-please, accommodating staff. Start with a Caesar Salad with fresh greens and tossed with a house-made tangy dressing, or an impressive salad of wood-roasted local baby carrots, sliced radishes, Sicilian pistachios atop a thin layer of robiola (a tasty cheese fron Northern Italy) and drizzled with a light vinaigrette dressing. From a choice of six fresh daily home-made pastas, share an order of rich Tortelloni filled with beef short rib and glossed with a foie gras emulsion and marsala wine. For main courses enjoy generous portions of perfectly grilled Branzino, or a Duck Breast topped with a heady sauce of dried dark cherries, grappa and balsamico. If you still have room for dessert go for the decadent Pineapple Bread Pudding served with Gelato. The wine list, while modest, offers good value from top-flight producers. Expect dinner for two without wine, tax or tip to cost about $100. The restaurant is open daily for lunch and dinner. For the past five years, fans of fancy seafare have flocked to this “old Naples” spot to sample the culinary works of art offered by Venetian-born chef-owner Fabrizzio Aielli. While cooking at times can be a bit uneven (undercooked octopus and overcooked pasta), the restaurant rarely disappoints, offering a large selection of tasty seafare in an upscale, very pleasant setting. Housed in an area popular with tourists and locals “looking to be seen,” the restaurant consists of a front dining patio open to the street that includes a well-stocked bar with a few bar tables, and an enclosed sleek, contemporary room in view of a large open kitchen. From a frequently changing menu, enjoy artistically presented appetizers of a silky dice of Tuna Tartar infused with a sweet Thai chili sauce with just the right amount of spice, a toothsome combination of chilled Lobster and burrata cheese, or a selection of glistening raw Oysters. For main courses, indulge in a dewy filet of Black Grouper accompanied by black truffles, peas, oyster mushrooms and smoked fingerling potatoes, as well as a special of grilled whole Hog Fish, filleted tableside atop creamy polenta. For dessert, share a Mocha Dream Bar (a rectangle of layers of creamy mocha and rich chocolate). Service under the watchful eye of General Manager Tanya Bachman was smooth and professional. Accompany the meal with wine from an expansive list of top-producer bottles, such as the fragrant Zind-Humbrecht Gewürztraminer that has just the right amount of spice and acidity to compliment the food. 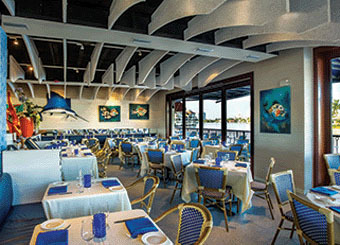 With a panoramic view of Naples Bay, it’s location that sets this 40-year-old very casual Naples institution apart from many other area eateries specializing in seafood. Rather rustic but comfortable seating is offered and a number of tables are large enough to accommodate even extended family gatherings. Top-notch starters range from a refreshing Chickee Hut Salad, composed of mesclun greens mixed with generous portions of hearts of palm, tomato and orange segments doused with a zesty citrus vinaigrette, to classic Coconut Shrimp, and spicy Bahamian “Cracked” Conch Fritters, served with sweet banana ketchup. I find that the simply grilled or bamboo-steamed seafare like the Mahi Mahi, Sea Bass or local Lobster make the best choices. And for those looking for land-based items, the Jamaican Red Stripe Baby Back Ribs, accompanied by a heady guava BBQ sauce, creamy cole slaw and greaseless sweet potato fries, are as good if not better than those served at other establishments in the area. For dessert, go with the rich Caramel Cheesecake. Surprisingly, for an eatery this casual, there’s a well thought-out sensibly priced (with fair mark-ups) wine list with selections like a lively Sauvignon Sancerre with a bouquet of newly mown hay and a lively, herbal finish; also, a dry, strawberry-scented Mas Des Bressades Rosé (both offered by the glass or bottle). Expect dinner for two to cost $80-$90, excluding wine, tax and tip. Open daily for lunch and dinner. Seems like everyone in Naples has their favorite steakhouse, with choices ranging from the family-run Preston’s to the Darden restaurant chain mainstay Capitol Grille. T-Michaels, one of the newest – open barely a year – has its fans and foes. However, the combination of high quality food and eager-to-please service make a meal here (with some caveats) a cut above most other spots offering the same type of fare. 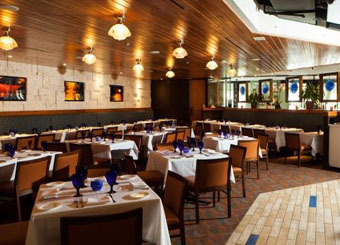 Housed in a large, carpeted room affords a panoramic view of Venetian Bay (better during daylight), with well-spaced tables - shouting to hold a conversation is not required here as in many of the other steakhouses in Naples and elsewhere. Following a complimentary amuse bouche of silky Crab Cakes, enjoy appetizers of Shrimp Scampi (cooked-to-the-moment plump crustaceans in a traditional garlic-white wine sauce), and dewy pan seared Scallops bathed in a rich, fragrant tomato basil gravy. A main course order of the bone-in Berkshire Pork Chop brought a hefty, tender cut cooked medium to order, and the generous slab of medium-rare slow-roasted Prime Rib was flavorful, but it would have benefited from the addition of an au jus and/or horseradish sauce. A modest wine list features consistently top-tier producers, such as a jammy, Seghesio Family Zinfandel (albeit a bit pricey at 3 times retail). For dessert, a martini glass filled with decadently rich chocolate mousse has just the right amount of sweetness. Expect dinner for two to cost $100 - $110 for two, not including wine, tax and gratuity. The restaurant is open for lunch Monday-Saturday and dinner nightly. 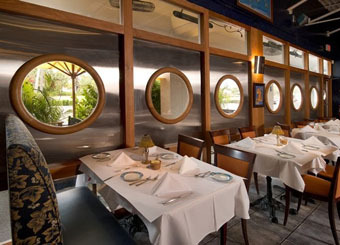 Run by chef-owner Nicholas Mercier and his affable (and unflappable) wife, Nathalie, this 14- year-old establishment -- with a setting of water-filled portals lining one long wall reminiscent of a cruise ship dining room- - is one of the most popular dining spots in Naples. And rightfully so. The flavors of appetizers like plump sautéed Calamari with an addictive grilled tomato sauce laced with Parmesan, and the five-spice Kurobuta Pork Belly accompanied by caramelized endive and apples doused in a bourbon molasses sauce are memorable long after the meal is over. Salads consistently contain fresh greens and just the right amount of flavorful dressing. From a wide range of main course items, we continually opt for the cooked-to-a-turn seared, vanilla-infused U-8 Diver Scallops, each on a mound of goat cheese polenta and topped with a citrus beurre blanc, or the spicy volcanic Snapper &ndash: two thick grilled fillets served over a mix of wok vegetables and steamed rice ringed with a tangy Asian aïoli. Other popular seafood entrees include wood-grilled Branzino, grilled Scottish Salmon, and sautéed filet of Mediterranean Bass served with seared foie gras and a pomegranate-infused veal reduction. For dessert, go with the Key Lime Cheesecake or the decadent warm nut-pear Bread Pudding. And to accompany all of this, there’s a very thoughtfully put together, well priced wine list with selections like a crisp, dry William Fevre Chablis ($47 a bottle) and an earthy Tasca d’Almerita Nero d’Avola ($44). Dinner for two, excluding wine, tax and tip, will cost about $90-$100. Open for lunch Monday-Friday, dinner daily.